J.C. Ryle was a prolific writer, vigorous preacher, faithful pastor, husband of three wives (widowed three times) and the father to five children. He was thoroughly evangelical in his doctrine and uncompromising in his Biblical principles. After being in Pastoral ministry in England for 38 years, in 1880 (at age 64) Ryle became the first Anglican Bishop of Liverpool and remained there for 20 years. He retired in 1900 (at age 83) and died later that same year at age 84. J. C. Ryle is currently considered a "single author." If one or more works are by a distinct, homonymous authors, go ahead and split the author. 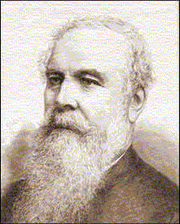 J. C. Ryle is composed of 23 names. You can examine and separate out names.